For the fourth year in a row Adyen and TNW teamed up to find the fastest growing companies in Europe’s six hottest startup ecosystems: The UK, The Netherlands, Germany, France, Spain, and Sweden. We screened hundreds of young companies, in the end focusing on one key metric: percentage growth in revenue. The top ten finalists of each country were invited to a celebratory dinner during which the winner of that country was announced. 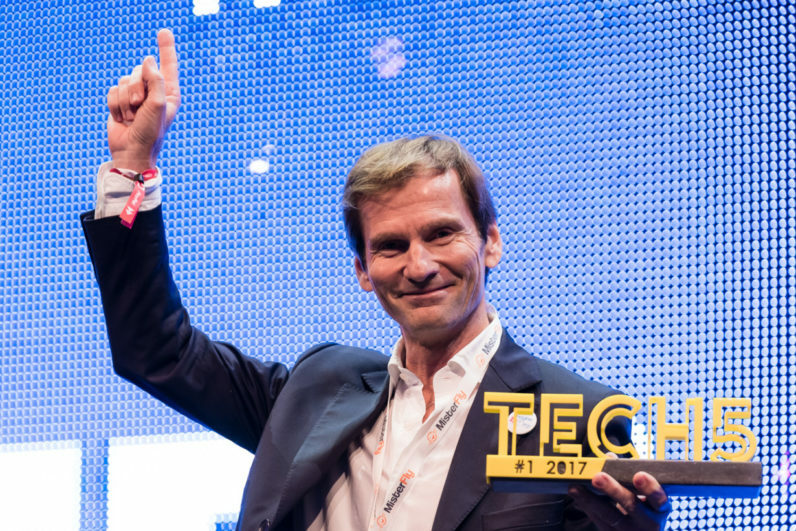 Just now, on the mainstage of TNW Conference 2017, TNW co-founder Patrick de Laive and Adyen SVP Account Management Tim van Dies announced the overall European winner and handed over the prestigious Tech5 award. Congratulations Misterfly! This young flight comparator website managed to grow a spectacular 48.000 percent. We’re presenting you the list of the 30 finalists in all six countries and congratulate all these companies for making this list – it’s an amazing accomplishment to grow your business this fast.